The banking hours are generally between 9.30 am and 4.00 pm Monday to Thursday, and until 5.00 pm on Friday. Some banks and credit societies are open on Saturday mornings, check with your bank to check their opening hours. The five largest banks in Western Australia are the ANZ, BankWest, Westpac, the Commonwealth Bank, and National Australia Bank. The head offices of the major banks are usually located in the city, with branches located throughout the metropolitan area. To find out details about local branches, check the bank's web site or listing in the telephone book for more details. 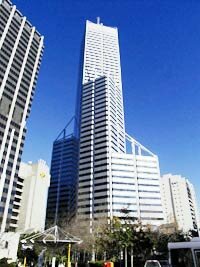 Western Australia also has a selection of international and other domestic banks. These banks include Citibank, Banque Nationale de Paris, Bank of New Zealand,Chase Manhattan, and the Bank of Melbourne. EFTPOS is used extensively throughout Western Australia. The majority of the major banks are affiliated to an EFTPOS system which allows you to access your money from a number of different locations around the state and indeed Australia. EFTPOS allows you to shop without having to carry large amounts of cash, withdraw cash when and where you need it, and make use of different account types. A small fee may be charged for withdrawing cash, or a minimum purchase may be required. EFTPOS can be found at most petrol stations, supermarkets, liquor stores, department stores, and a number of small retail stores. Not all EFTPOS locations allow you to withdraw cash. Look for the EFTPOS sign. Automatic teller machines (ATMs) are located throughout the Perth and metropolitan area. Most ATMs are available 24 hours a day, and 7 days a week. The majority of ATMs will accept a variety of cards from different banks. The ATM will usually have a sign posted next to the machine showing which cards can be used. A small fee may be charged for using another bank's ATM. Some banks have a number of ATMs located behind a security door which can only be operated by swiping your card through a slot. Other ATMs may be located at the front of banks, or in the large suburban shopping centers. Most banks are connected to the Maestro or Cirrus networks, allowing international visitors to access funds. To find out if you can access your money through ATMs in Australia, check with your bank.